Japanese students with colored hair wearing their cold weather essentials in Harajuku. 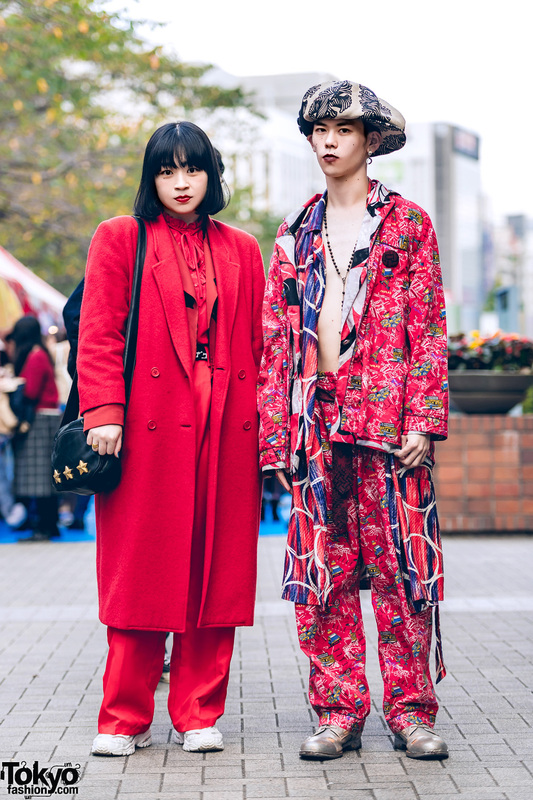 Harajuku duo sporting all red and mixed prints streetwear styles while out on the street one fine afternoon. 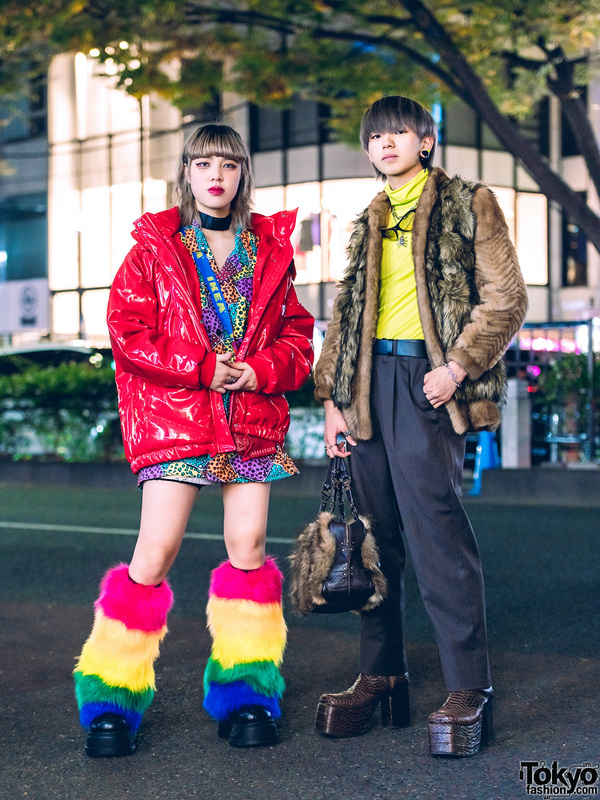 Harajuku duo dressed in eye-catching ensembles while out on the street at night. Harajuku girls showcasing striking streetwear styles while out and about the street. 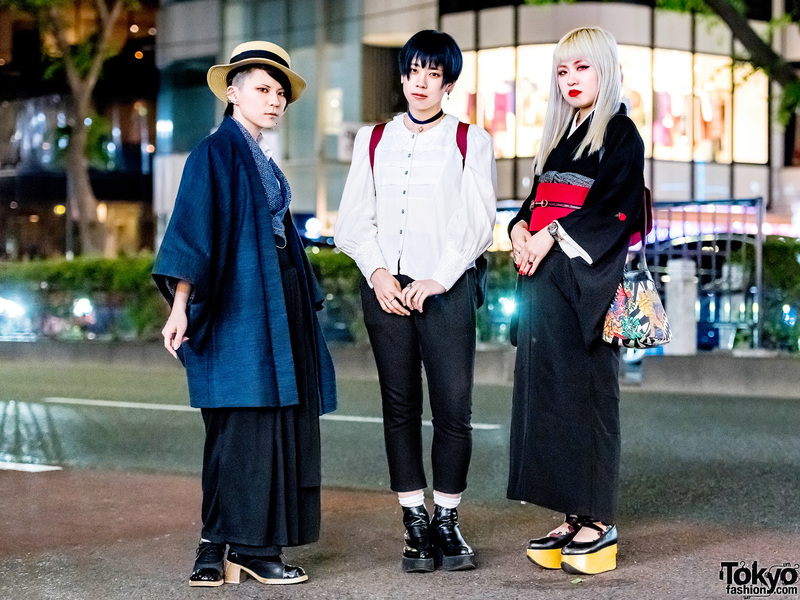 A group of Harajuku teens all sporting stylish streetwear while out and about on the street. 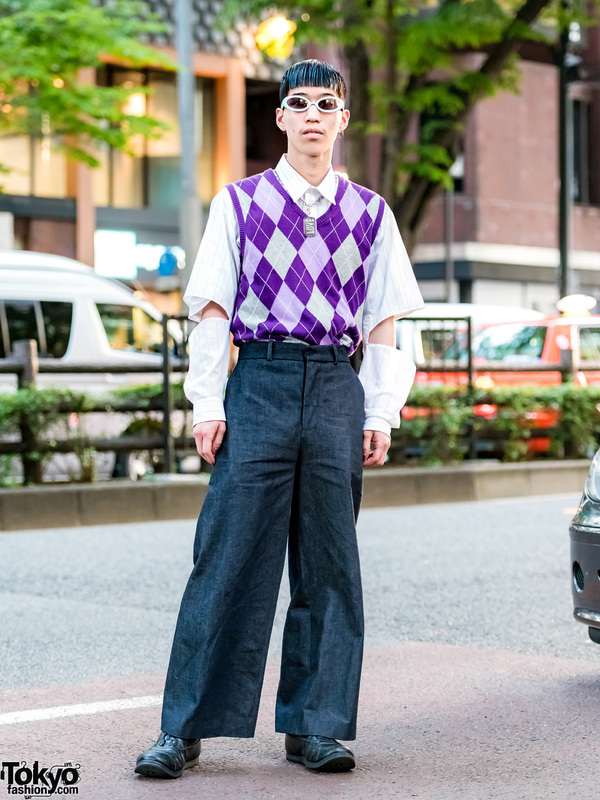 Tokyo hair stylist wearing a vintage vest, wide-leg pants, and Spectusshoeco. shoes in Harajuku. The Ivy Tokyo jewelry designer and adorable daughter on the streets of Harajuku one fine day. 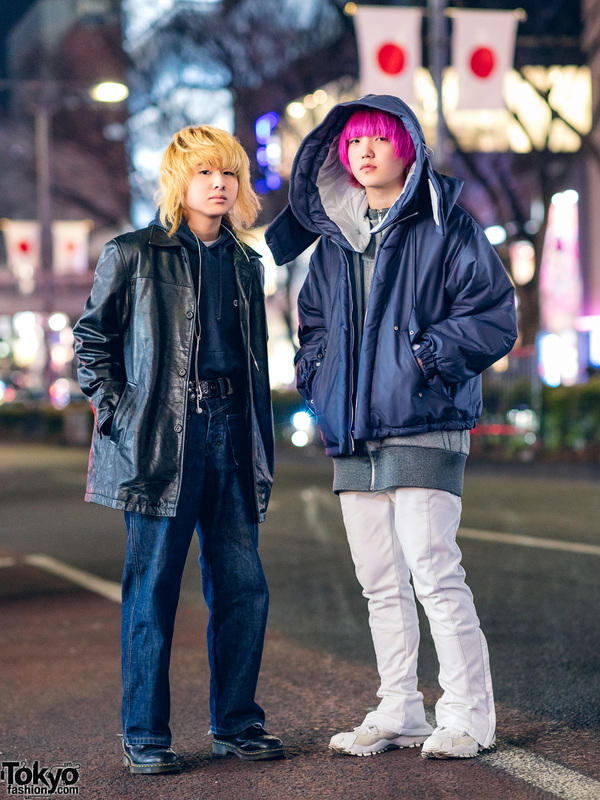 Harajuku duo in oversized bomber and hooded jacket, platform boots, sunglasses, and chain accessories. 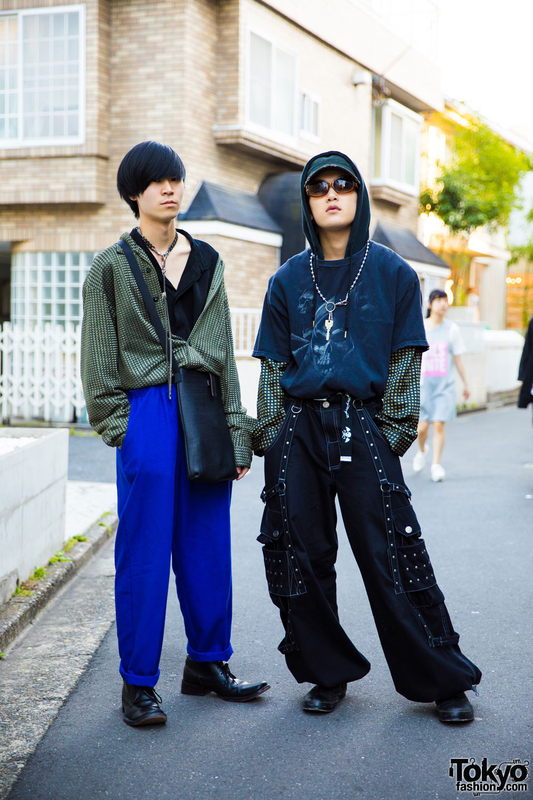 Harajuku guys in edgy street wear styles w/ long sleeve shirt, cuffed pants, heeled boots, hoodie shirt, cargo pants, loafers, and accessories. 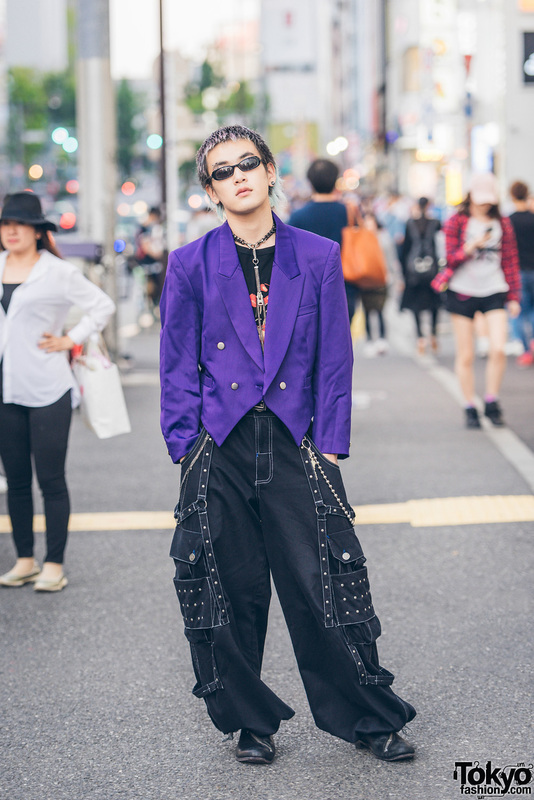 Bunka Fashion College student in purple and black streetwear wearing a blazer over shirt, oversized studded pants, zipper boots and accessories.